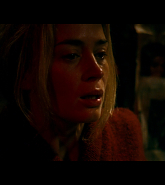 With her seductively aloof gaze and warm onscreen presence, Emily Blunt has captivated audiences and critics alike. After earning several awards on the indie circuit, as well as the praise of her The Devil Wears Prada co-star Meryl Streep (who called her one of the best young actresses she’s ever worked with), 28-year-old Blunt has finally reached Hollywood leading lady status. However, on the heels of two huge box office bombs, the star of this weekend’s The Adjustment Bureau has reached a critical juncture in her career. Growing up with a childhood stutter, Blunt says she wasn’t the type of photogenic ingénue who waltzed into Hollywood. “I was bullied,” the Brit tells The Daily Beast, fidgeting in her chair at Manhattan’s Mandarin Oriental Hotel. “I remember those popular girls at school. There was a light around them and you’re wanting to be a part of that light. You’re wanting to be with them.” The actress channeled those “mean girls” for her film debut as a manipulative teen in the 2004 independent film, My Summer of Love, which earned her critical raves. Blunt then went on to play a resentful daughter in the BBC television drama Gideon’s Daughter, which earned her a coveted Golden Globe. She followed that performance with two Golden Globe nominations—one for playing the snobby assistant to Meryl Streep’s dragon lady magazine editor in the 2006 hit The Devil Wears Prada and another for her regal title role in 2009’s The Young Victoria. All of a sudden, Blunt was one of the popular girls in Hollywood, being offered the female lead in superhero films like Iron Man 2 and Captain America: The First Avenger. Blunt, who married The Office’s resident heartthrob John Krasinski in July, has seemingly managed to find a happy medium in her romantic life—“that endless understanding of what each other does, and celebrating being a couple.” When asked how closely her husband mirrors his lovably goofy sitcom character, she says, “All that and more,” grinning like a Cheshire cat. Krasinski’s onscreen persona on The Office recently wed and became a father. But will he be carrying his dad skills off-screen soon? “[John’s] well-practiced!” exclaims Blunt of starting a family. “I grew up with a younger brother and sister who are quite a bit younger than me. So, at 8 years old, I was sitting there with a baby, probably really pissed off [because] he was puking on me.” Blunt pauses. “I don’t know when, but at some point, definitely,” she says of having children of her own. As far as her professional future, Blunt will next star in a pair of intriguing, smaller-scale films—she appears alongside Ewan McGregor in Salmon Fishing in the Yemen, directed by Lasse Hallström ( The Cider House Rules), and in another sci-fi entry called Looper, featuring Joseph Gordon-Levitt and Bruce Willis. I think people sometimes see acting as a form of therapy. It’s not cathartic or therapeutic – that’s a misconception. You’re not just doing a portrait of one person, there’s a lot to consider: the tone of something, what everyone else is doing. The space between people is what’s so electric to watch on film, the chemistry and the air between them. So when it’s self-indulgent, it’s not as interesting.